Lt. Robert Turchette Killed in Air Crash in Little Rock, Ark. 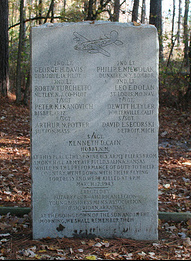 (March 19, 1943) – 2nd Lt. Robert Turchette was killed aboard a bomber that crashed Friday afternoon in Little Rock, Ark. His family was notified Saturday morning. On Sunday they received a telegram from Robert’s commanding officer stating that he had been among those definitely killed in the crash. The flier’s parents, Mr. and Mrs. Joseph Turchette of Nutley Avenue and his sister Jacqueline, who was 18 last Saturday, expected him home shortly for a visit, but the pressure of Army duties had delayed his furlough. 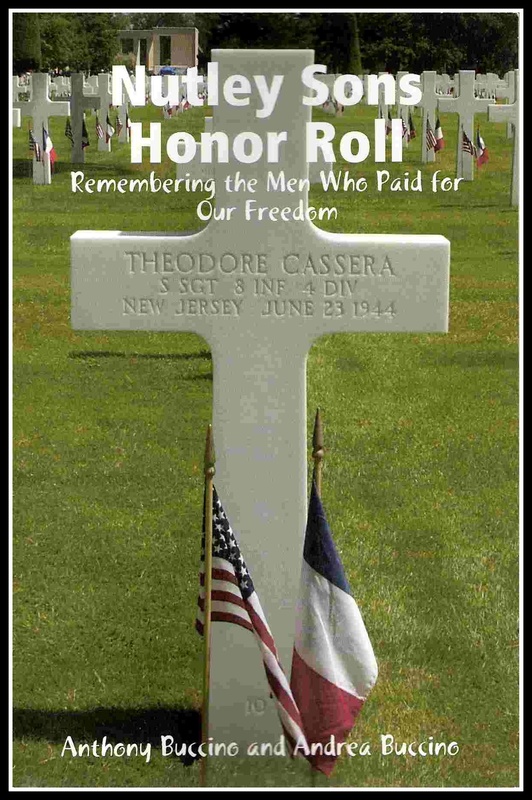 It would have been his first since joining the Air Force shortly after the attack on Pearl Harbor. Robert, the eighth local war casualty, always liked planes and made many model planes as a youngster. When the Turchettes moved to Nutley nine months ago, Robert’s mother wrote him asking what she should do with his large supply of model airplanes. He wrote back to give them to other boys who were interested in them. Aside from airplanes, Robert’s other great love was music. He was an accomplished pianist, and he practiced incessantly. He loved classical music, and he regularly attended concerts at Carnegie Hall. He was such an enthusiastic admirer of Horowitz, the gifted pianist, that he sometimes followed him out of New York to attend his recitals. His interest in music created a conflict as to his future life work owing to his equally great enthusiasm for airplanes. He finally decided to earn a livelihood in the latter field, and in 1939, following his graduation from Barringer High in Newark, he entered Rensselaer Polytechnic Institute to study plane designing. He was in the middle of his sophomore year when he decided to enlist in the Army. His letters home, his mother said, were masterpieces of prose. He would write not only of his work, but also of the cloud formations, the canyons and the mountains over which he flew. Lt. Turchette was very fond of dogs and his particular favorite was Tipple, a scion of a line of police dogs and Boston bulls. With the current goings on, Tipple seems to sense that something is wrong. But like the little toy dog in Eugene Field’s “Little Boy Blue,” he patiently sits back and awaits his master’s return. Services were conducted Monday at Stirratt Funeral Home followed by interment at Immaculate Conception Cemetery, Montclair. While the construction and ongoing upkeep of the Sheridan B-17 Memorial Park is our primary mission, the secondary mission is to clear the record of Pilot Davis. Local Veterans and area residents believe that 2nd Lieutenant George Davis should not have been held responsible for the loss of his B-17F Flying Fortress and its crew. 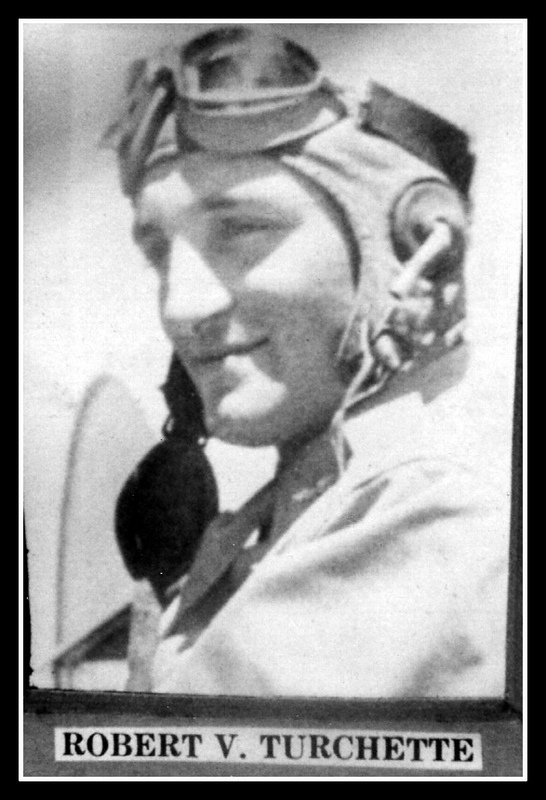 Rather, he should have been recognized for his valiant efforts in keeping his Flying Fortress airborne while over the Sheridan, Arkansas, area. The actions of Pilot Davis and his crew in finding a non-residential area on which to crash land possibly saved the lives of area residents. “At the going down of the Sun and in the morning, we shall remember them”. The Veterans of the Sheridan American Legion Post #30, Sheridan Disabled American Veterans Chapter #56 and many Grant County residents have not forgotten these nine young Airmen and we dedicate the new Sheridan B-17F Memorial Park to honor them and all Veterans that have served our Nation in the past, present and will continue to serve in the future. B17 bomber crew honored in Sheridan, Ark.